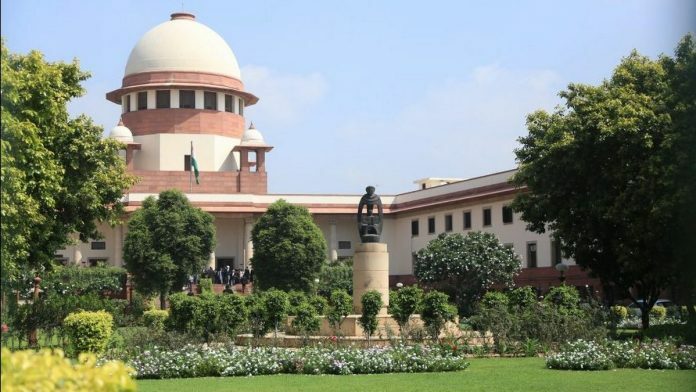 New Delhi: The Supreme Court Wednesday reserved its verdict on a batch of pleas that challenged its September 2018 order that allowed women of all ages to enter the sanctum sanctorum of the Sabarimala temple in Kerala. A five-judge Constitution bench, headed by Chief Justice of India (CJI) Ranjan Gogoi, was hearing a total of 65 petitions, including 56 review pleas and four writ petitions, that challenged the relaxation of the age norms for women to enter the temple. The September verdict was issued with a 4:1 majority by a Constitution bench, with Justice Indu Malhotra delivering the dissenting judgment. It observed that barring the entry of women aged between 10 and 50 years, or when they are in the menstruation age, to the Sabarimala temple was not an essential part of the religion. Denying Hindu women entry into the temple violated their fundamental right to practice religion, the bench added. ThePrint looks at what religious denomination means. In a 1982 verdict, the Supreme Court had defined religious denomination as “a religious sect or body having common faith and organisation and designated by a distinctive name”. The observation came in the S.P. Mittal case where a Constitution bench in a 4:1 majority had refused to accept sage Sri Aurobindo as a “religious denomination”. Another example is that of the Swaminarayan Sect, which was also denied the status of a separate religion. In the 1966 case, Sastri Yagnapurushad ji vs. Muldas Brudardas Vaishya, the question arose whether the Swaminarayan sect followed a religion distinct and separate from the Hindu religion. Then CJI P.B. Gajendragadkar after an exhaustive consideration of various Hindu texts and the texts and history of the Swaminarayan sect concluded that the sect was not a religion, distinct and separate from the Hindu religion. Simply put, a religious denomination is a sub-group within a larger religious organisation that follows a common faith, practice, has an identity and traditions. According to Article 26 of the Indian Constitution, “religious denomination” must satisfy three conditions. It must be a collection of individuals who has a system of beliefs or doctrine which they regard as conducive to their spiritual well-being. These include a common faith, common organisation and designation by a distinctive name. Hence, a religion cannot be a separate denomination just because it differs from the mainstream practice.